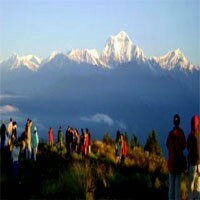 The climate in Nepal is various according to altitude level, location and the seasons. Nepal has four seasons: Spring (March to May), summer (June to the first week of September), autumn (Mid September to November) and winter (December to February). 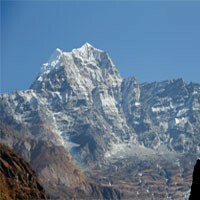 The best season for trekking in Nepal is autumn and spring. Weather in the mountain is not the same always as it can change pretty often. Normally during the day, the temperature is warm while it's sunny. However, during the morning and evening is cold so you have to be well prepared for all kind of expected conditions. We shouldn't think that only rains during summer it can rain every season so you have to have rain cover yourself and for your stuff. 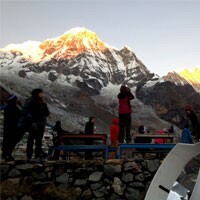 Trekking in autumn needs warmer equipment then trekking in spring.